I guess it's really no relief inside this place, it's just bright lights, a mysterious high pitched whine, and a funny smell. Thanks, Aaron. Come 'n get yer 'lergy' "relief" he-yur! Maybe it's a slap across the face, and they cry, "Snap out of it!" 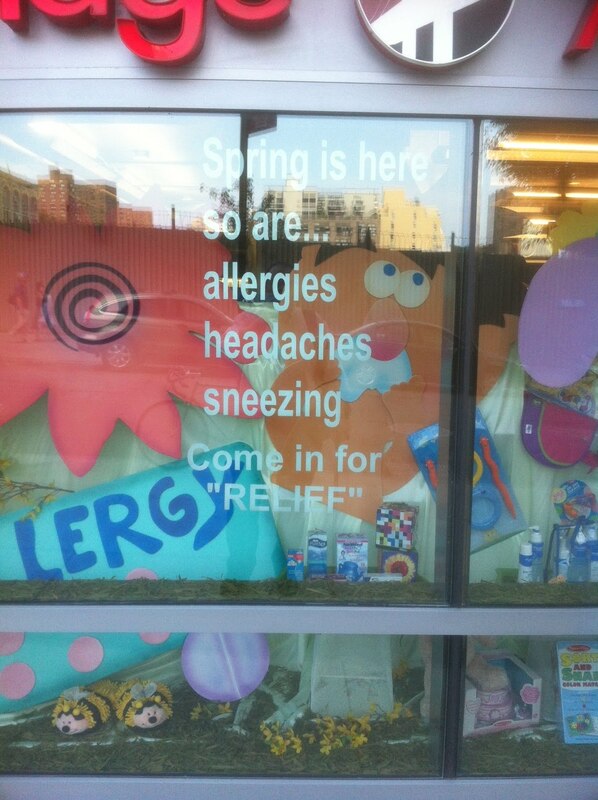 To be fair, I've had enough allergy relief products that didn't work or died early that the quotes COULD just be truth in advertising.